In the framework of the event Musikmesse, Virginie Lelarge, the founder of IMEDD in Monaco (Research Institute specialized in Sustainable Development and Smart Cities), spent time in the city of Frankfurt in Germany to do researches and discover how this city commits to the Smart City concept, which is about providing a sustainable life to people who live and come to visit the city for professional or tourism concerns. 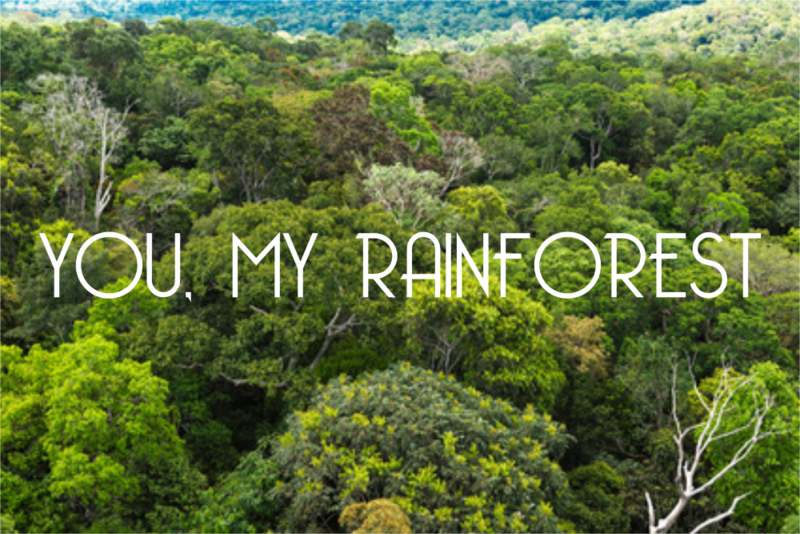 First, we need to talk about the city itself to understand the components of its sustainable development issues. We have more than 736 000 inhabitants (data 2016) in the city. With the suburban area, we reach 2 517 561 people and a third is not from German nationality. That is to say that more than the whole intra muros population of Paris lives in or around Frankfurt. The city is the 4th European financial place and a world city due its economic strengths, its infrastructures and culture. The city has been rated as one of the most pleasant cities to live in and is very cosmopolitan. With numbers like the one quoted above, we understand that Frankfurt is concerned by six main issues related sustainable development: energy, transports, waste, connectivity, culture, quality of life for people and families. The following parts of this article will talk about these issues in Frankfurt. 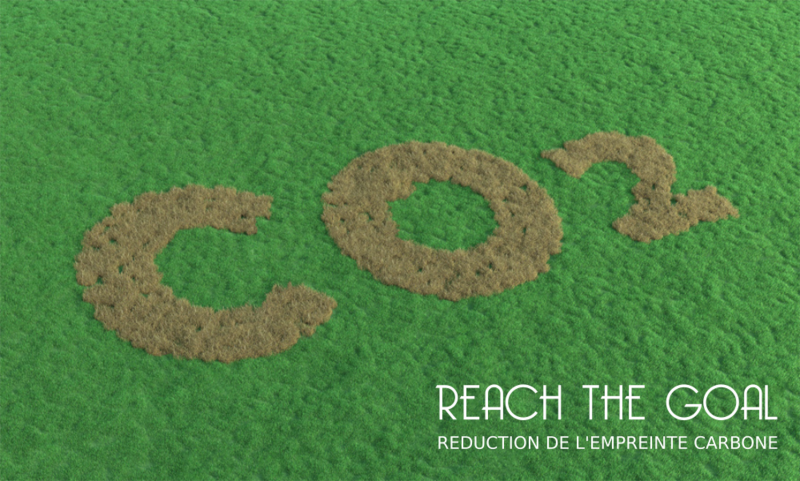 Regarding energy, we all know that Germany quitted nuclear energy for coal a couple of years ago and the issue has been largely discussed in Europe regarding the environmental impacts. An energy is a country choice and it needs to be studied globally and it’s not the purpose of this article. However, what can be noticed, on the side of a life in the city, is that in Frankfurt, it’s not as easy as in other European Cities to find free electricity and plugs in public infrastructures. As an example, in Brussels Airport, which an EU hub, we have all seats in the waiting rooms equipped with plugs, so we can charge our smartphones. In Frankfurt Airport (also a big EU hub), as well as in the train station or regional trains, we hardly find plugs for public use and that’s a constraint when travelling, that forces consumption to buy portable chargers. Providing free electricity in all public places could be a great innovation for people to ease their life (like lines of plugs in airports, train stations, big bus stations, malls, centre of congress…). 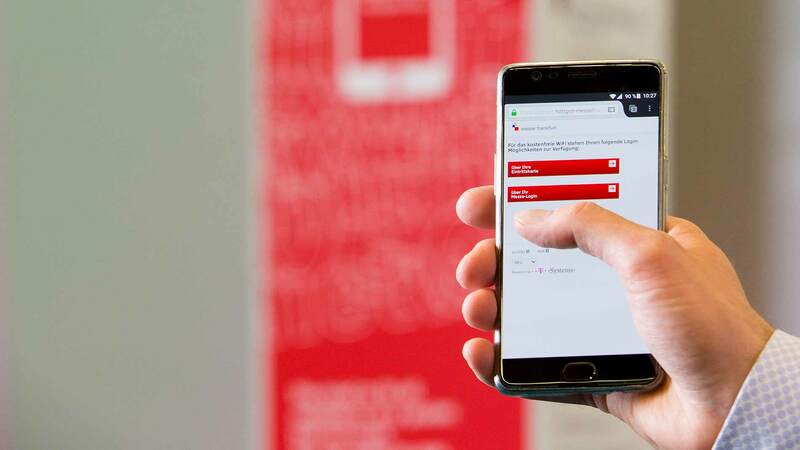 Some tests could be done because smart city solutions exist. 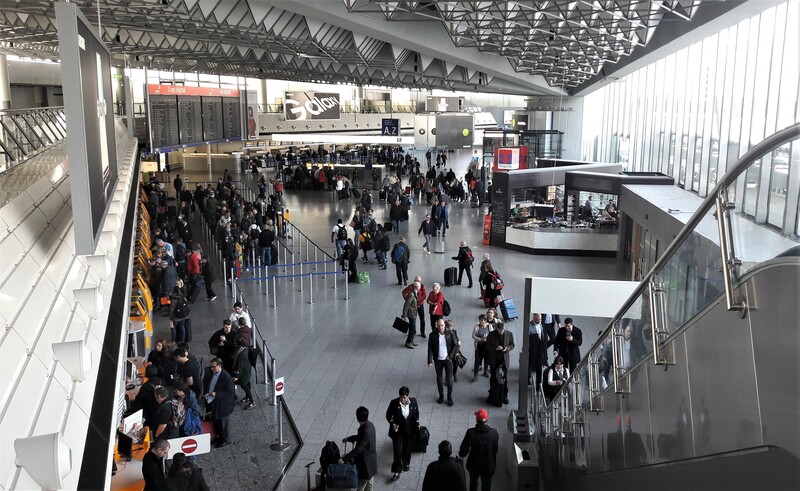 For example, in airports or train stations can be installed: lines of plugs in walls, solar charging pods, benches equipped with plugs. Indeed, using some solar devices in those kinds of infrastructures, mostly made with glass that let the sunlight pass through, is a good opportunity to show innovative solutions and provide services to people to facilitate their life. 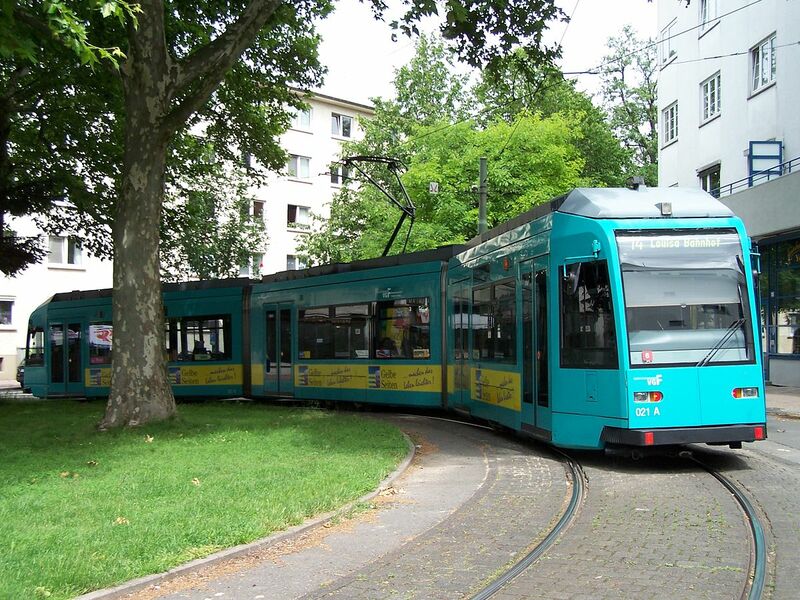 Regarding transports, Frankfurt faces very big issues too due to its population and great economy life with the financial, economic and cultural sectors, that supports also, in its everyday life, the development of local activities around. 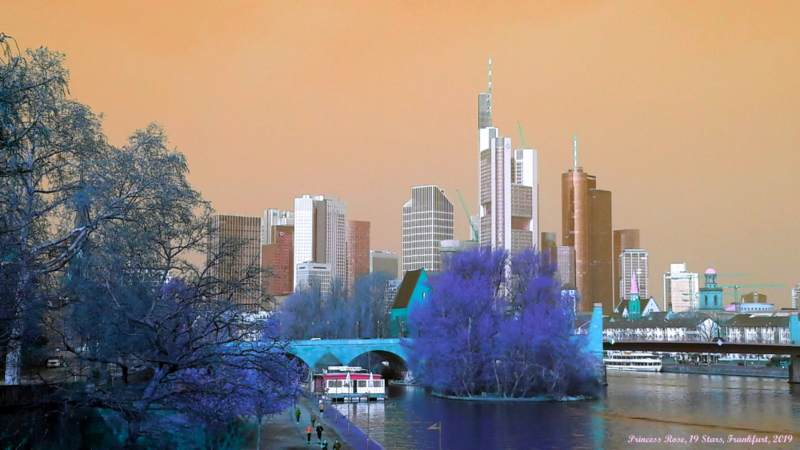 The City of Frankfurt is 248,3 km² (123 times bigger than Monaco). However, if we compare Frankfurt to Monaco in terms of density, we have 2964 inhabitants per km² in Frankfurt vs Monaco, with its high density of inhabitants: 19156 per km² (6,5 times bigger than Frankfurt). That means that the situation of transports that we have in Monaco is a laboratory compared to what they have in Frankfurt which is at much higher scale on a larger territory with millions of travels per day. Frankfurt is well structured for transports. All big infrastructures are connected, and transports are integrated within the buildings to facilitate the travels. It starts at the airport where we have the regional railway station that brings into town to the main train station. From that point, all other public transports can be used: buses or tramways. We find taxis, some carsharing services and the city, which is mostly flat, is quite appropriate for cycling, with many cycling lanes. 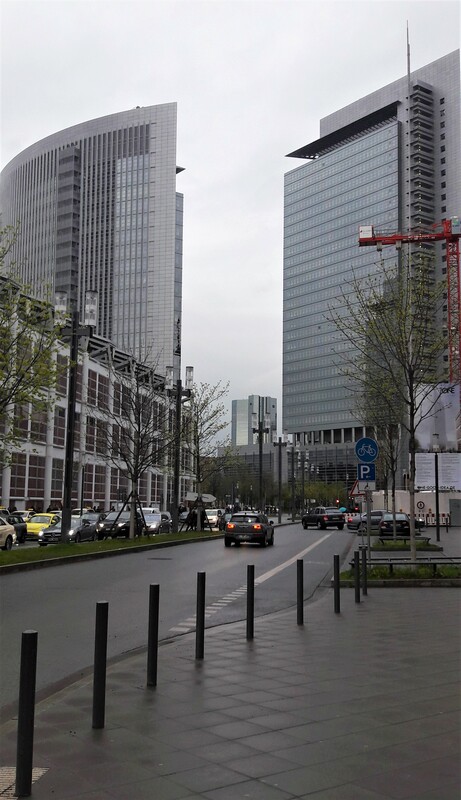 Regarding cycling, the City of Frankfurt is exactly like the city of Nantes in France that hosted Velocity back in 2015. We have the river that cut the city in two parts with big cycling lanes along the shores that allow people to reach every place they want. 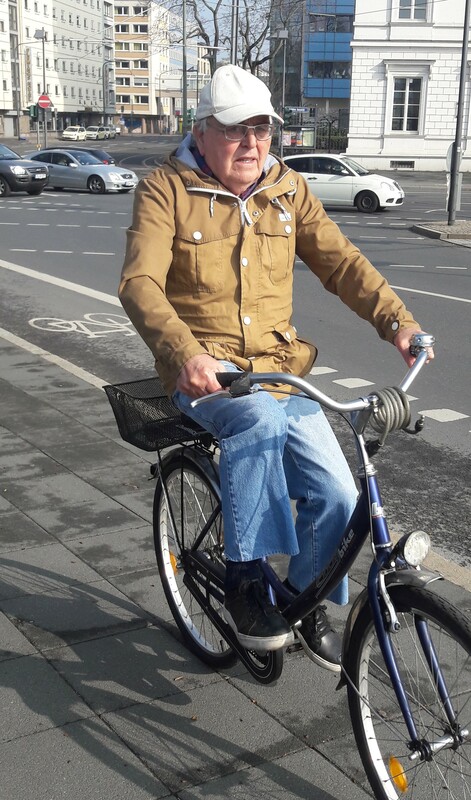 As far as noticed, in Frankfurt, they wear helmets when cycling the city, exactly as IMEDD promotes it in the framework of its LIM project for Cycling Smart Cities. It seems that helmets are mostly worn in the northern country (Germany, Ireland, UK…), especially by people who ride bikes with children. Regarding safety for cycling Frankfurt, all bikes lanes are very well drawn on the ground, so it seems to be easy to follow. 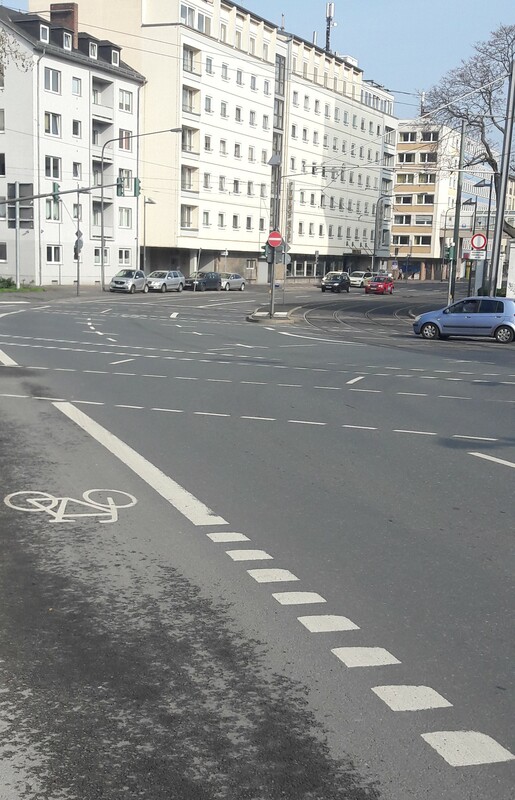 The only thing is that for foreign people who would cycle Frankfurt, we are not used to the transport system: traffic lights, the crossing points are not zebras like in other countries, the buttons to stop the traffic to cross are not the same as in other countries. So, it needs to get the habit and understand how it works, because Frankfurt is very well thought for its signalization for transports, but for people from other EU countries, it’s a system that needs to be discovered. Once it is, it makes travels very safe and pleasant and offers many opportunities to move in the city. Cycling is even used in public infrastructures. 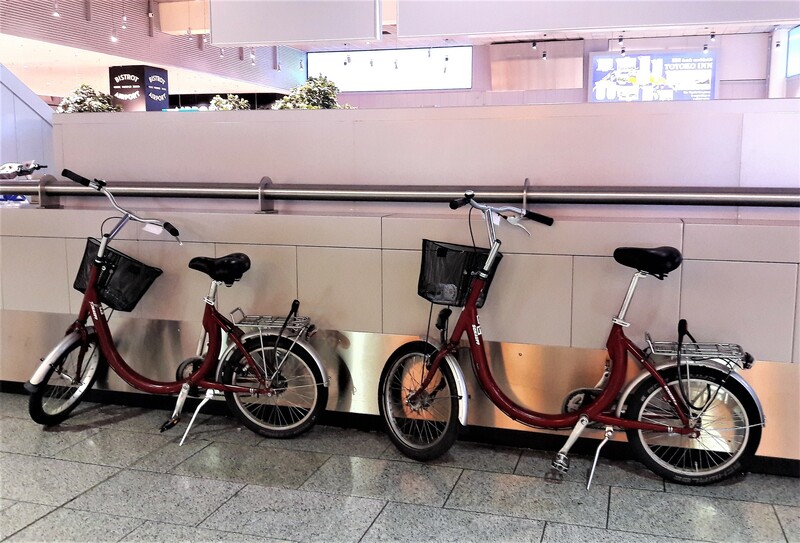 As an example, in Frankfurt Airport, we have small bikes that we can freely use to move in the airport. No need to put a lock, everybody respects. When you need the bike, you take it. When you are done, you bring it back. It’s a very good example to underline and a big component of the Smart City Concept, which is about putting people at the heart of the city. When we see, that the airport provides free bikes, that everybody understands how it works and that nobody steals the bike, you see that there is a big relation of trust, believing that people are good and responsible. When we all behave this way, in a framework of trust and responsibility, this is how we meet the Smart City concept and how it provides real services and opportunities for people. IMEDD finds the issue of people very interesting and recalls that the European Culture (not only the country culture) is the one that helps build trust and responsibility between people and their cities, and more projects should be undertaken at the European Level, and even be supported by the EU Commission and The EuroCities Network to federate people around this idea of “European Culture about Sustainable Development for People Living in or discovering the EU Smart Cities”. Providing people with a global view on how we are, us the Europeans in our living cities, is a good tool to help and create a global empowerment, develop new ideas, attract good and innovative people in any genre who have something to share with the city, Europe and the Earth. We also need to recall that the big European Cities are platforms for the international. The European Smart Cities are watched by the international. Everything is connected and the European culture is really appreciated overseas. A city like Frankfurt can easily develop in this way due to its numerous strengths, encouraging more innovative people to come and share their talents with the city and the world. 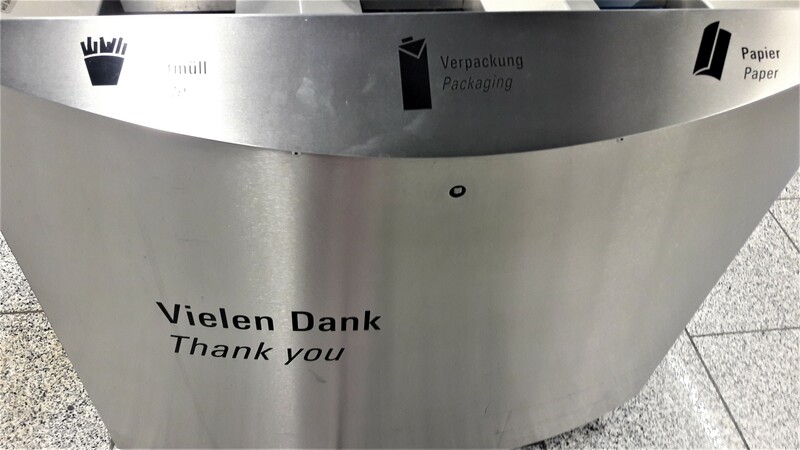 IMEDD didn’t explore the whole waste system of Frankfurt but when evolving in the city or in all infrastructures, everything is made easy. 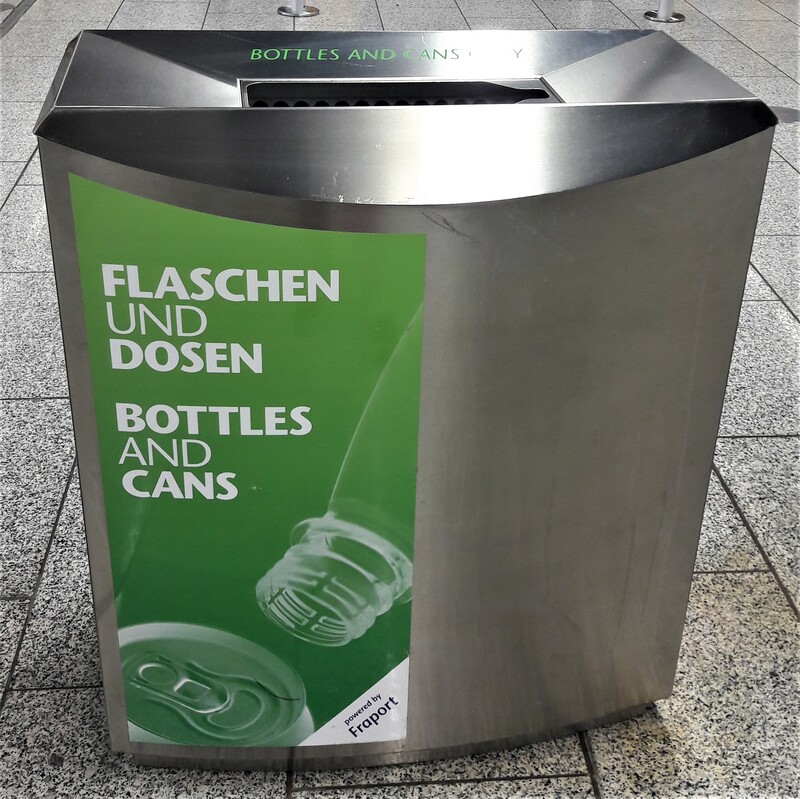 For plastic, in Frankfurt, they do better than in other EU cities. They provide machines in public buildings in which we can bring back the plastic bottles and have a few cents back. IMEDD also saw that this machine creates a solidarity life for people. There was an old poor man walking on all bars terraces to collect the plastic bottles, and everybody kindly gave the bottle to this man, because they knew, they were helping him and recognized its positive action for waste. Indeed, this man had created his own job with his plastic bottles, and he was no longer poor. This “street example” shows how the preoccupation of waste and environmental preservation can have a good and positive social impact. 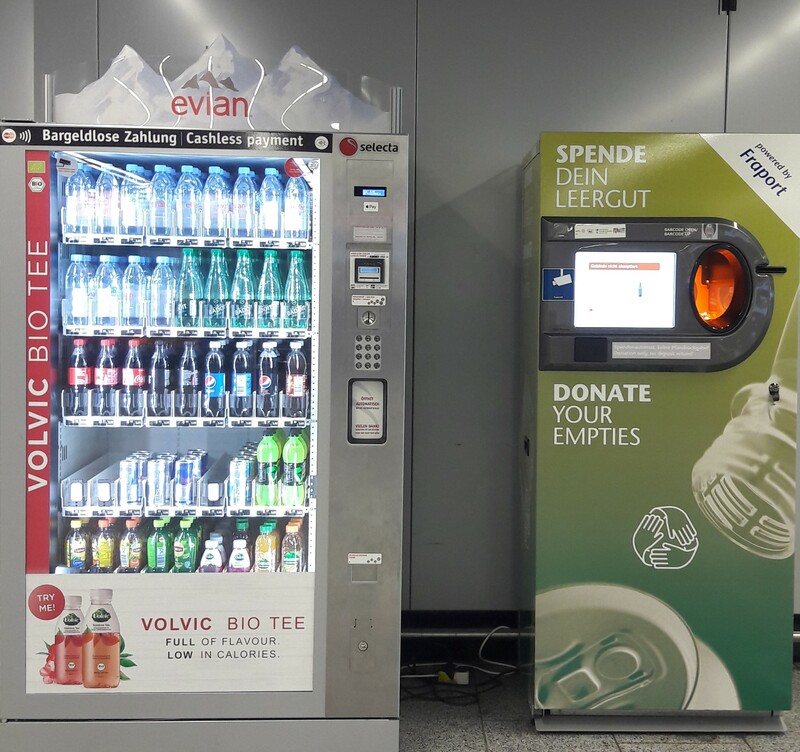 This machine should be used in other EU infrastructures and Smart Cities, and those organizations should develop social programmes with people in difficulties to provide them with opportunities, showing them that collecting plastic is entering “the big family of Environment”, who fights to free the planet and the oceans of plastic. IMEDD evolves in Monaco where we find between 135 and 165 nationalities depending on the year, so living in an international world is a sort of habit. Frankfurt is exactly like Monaco but at a bigger scale. Frankfurt is an open minded city; we easy see its strategy to develop which is based on international global attractivity that support the development of local activities. So, it’s a kind of global/local city. Germany is worldly known for its know-how in terms of art and music. People are very innovative, kind-hearted and they evolve at international. 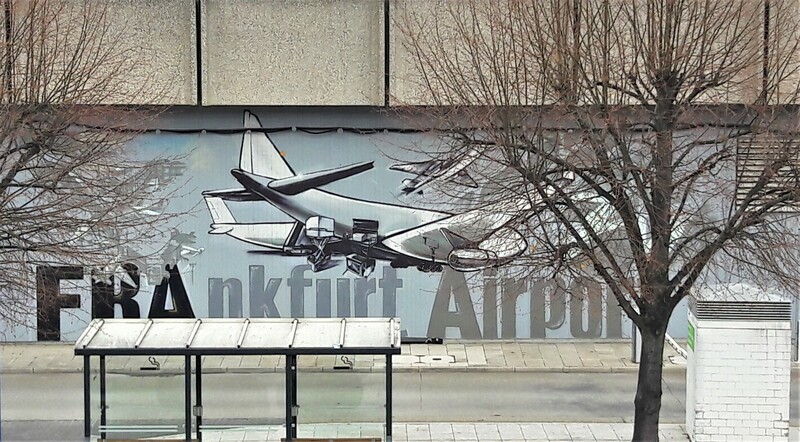 It’s also well known that in Germany, we use the city to do art. We find big iron statues everywhere, even in gardening, with places integrating iron art, plants that need a few water and stones to drain the water. 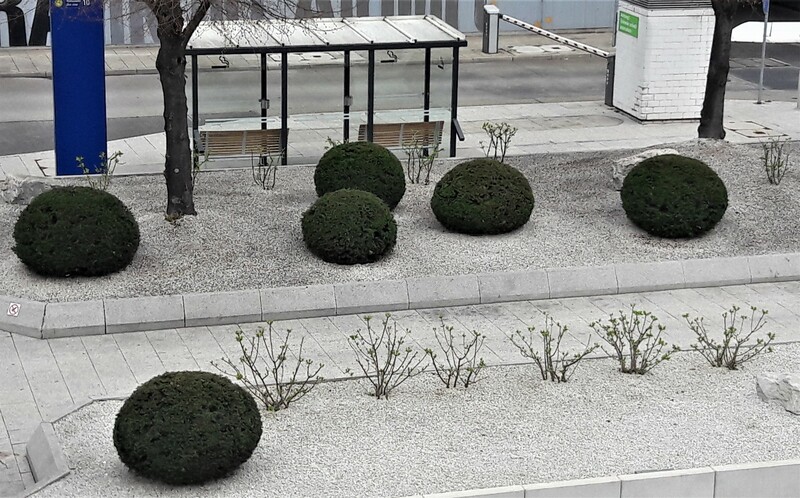 The Germans are very modern in their way of designing buildings and gardens. For music, the event Musikmesse is an example of the capacity of Frankfurt to be able to reach the world and bring them all together in a unique place to meet, develop network and undertake. 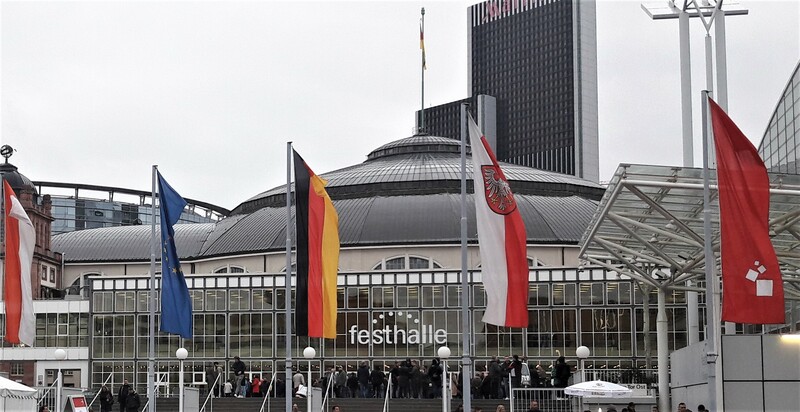 Such a dimensioned event is a big organization for the city; however, everything is very fluid, and it really shows the ability of the city of Frankfurt to dimension to spread the word about the world culture. Regarding connectivity, Frankfurt is very well equipped. We find free WIFI in most places. Maybe, some apps should be developed or promoted for foreigners to clarify the city transport scheme. It would ease their travels. In Frankfurt, we find the River “Main” and its shores have been designed for nice walks for families. We can cycle, do roller blades, even do jogging. We also find those « Bateau-Mouche » that allow you to discover the city from the river. The river is also used for sport, like rowing and even for fluvial transport which allows to decongest cities (instead of using trucks for transport). We also find at every corner some little parks with children play games. We see many children in the street with their mother doing walks. It leads to say that more than the half of the population of Frankfurt are women, so it gives also a big energy for family life with children, and indeed, they all evolve at international. As said previously, a third of the city population is not German. 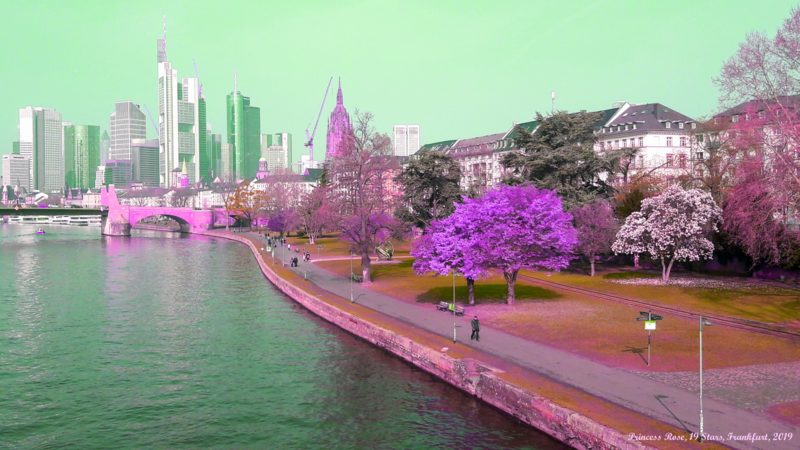 Frankfurt is a big European Smart City with an opening at international that facilitates people’s life. The success of this city is mostly due to its capacity of organizing the travels for people and its capacity to attract international people. It needs to be recalled that this article is based on a research experience made by IMEDD in the city of Frankfurt and the event Musikmesse. They are many other events that happen in Frankfurt during the year in any sectors of activities. Seeking what happens in Frankfurt is a good opportunity for businesses or even innovative people who wish to develop in any kind of activity. 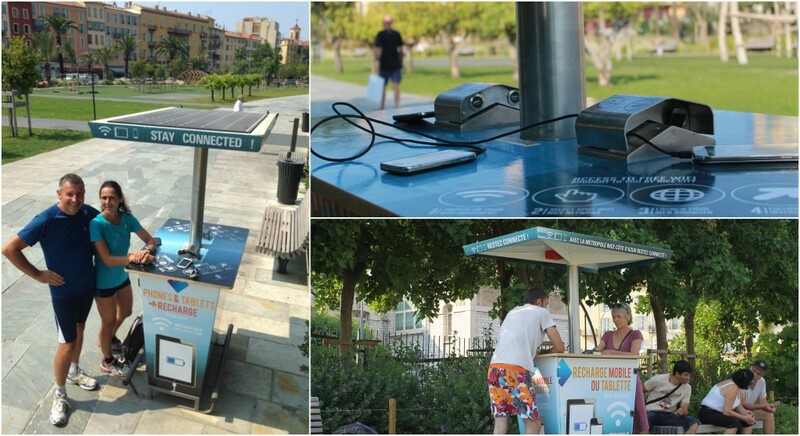 ** This article was written by IMEDD Monaco, specialized in researches for smart cities and sustainable mobility and is shared with the LIM Project (Ladies in Mobility) whose goal is to empower people to commit to sustainable mobility in smart cities.